Q: I am evaluating De Luxe menu. We perhaps like to become OEM distributor. In a website i would like to align 3 menu items to the left of the page and the other items to the right. The 3 items to the left have a different style. But all have a fixed width. I tried to define a spacer between the items but this didn't work out. Can you provide a java menu samples which shows left and right alignment of menu items is possible? 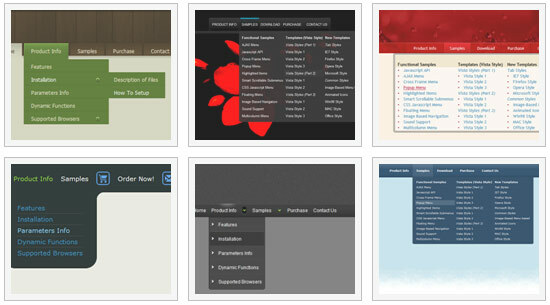 Q: I have used for your software for Menu creation(Trial version). We integrated it in our appliaction running good on IE 6. It has some whitespaces also. Menu using dhtml is not displayed in IE 7 when integrated in our application. When we call your html directly in IE 7 then it displays. 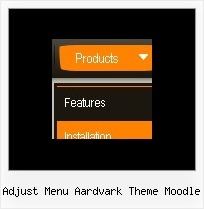 In Mozilla ,menu is displayed but without transitional Effects. I am interest buy your software. If we are assured that above issues will be fixed in licensed version. > In Mozilla, menu using dhtml is displayed but without transitional Effects.Filters and transitional effects are features of Internet Explorer5.5+ only.